The SCBWI is creating an opportunity for illustrators to test their art and how it holds up in today’s market. Each month, the “Draw This” monthly art prompt will provide a word for members to illustrate. For years I’ve followed a similar type experience at IllustrationFriday.com. They, too, provide an art prompt of a word. In looking through the weekly images, I started to understand the concept of “standing out.” For example, one week, the word was RED. Looking through, I saw the same images: firetrucks, little red wagons, red-headed girls, Little Red Riding Hood, gorgeous cardinals, and so on. Those who illustrated the prompt with such an obvious cliche probably thought they were showcasing their work. Instead, I thought they were showcasing their lack of creativity. 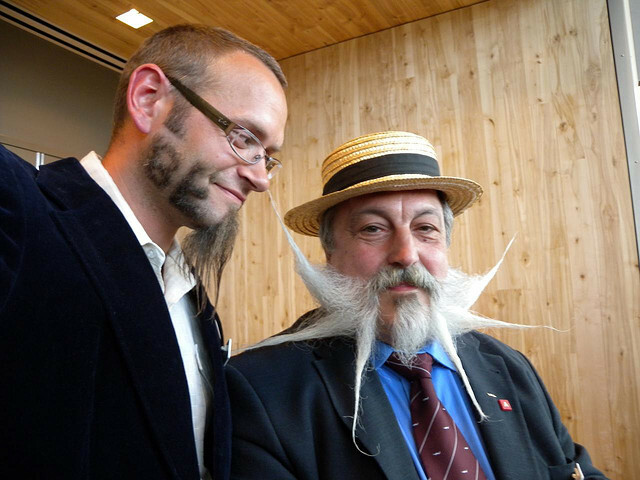 2009 World Beard and Mustache Competition. Does that beard spell out B-E-A-R-D? Here are the images for an Illustration Friday prompt, Beard. Now look through Beard images on Flickr. Or look through the BeardBrand shop and see how their photographers captured the young urban male and his passion for beards. Which is more exciting and fresh? Are these cliched images? No! Writers, you can play along, too! Take the illustration prompt as a writing prompt. List your first 10 ideas–and throw them out. Those are the cliched ideas. Now, write 10 more ideas. Choose the strongest and write a story that has a fighting chance of standing out in today’s crowded market. 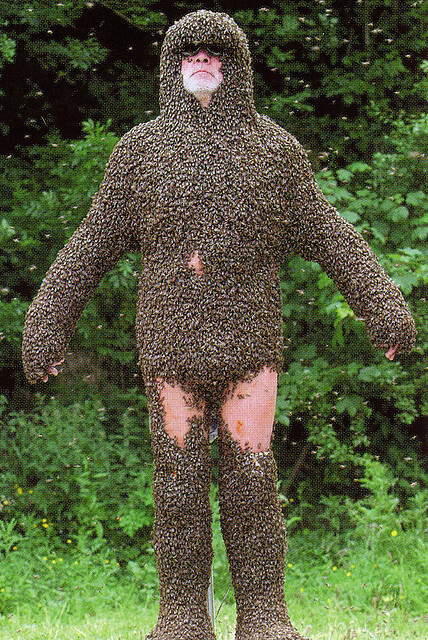 I’ve never seen a Bee-Beard before. Have you? Illustrations due by May 25. See full rules here. While the prompt is only open to SCBWI members, anyone can play along!